An organisation is appealing for information after three children were seen to throw a live cat into the water at Sovereign Harbour. Rosie’s Register says sadly the animal did not survive the incident which took place near the South Bridge at about 9pm on Sunday (January 14). The voluntary organisation, which helps people find lost cats in the area, is hoping someone will come forward after three very young children deliberately threw the cat alive into the water. It says it is particularly looking for two passing adults who tried to prevent the incident. Rosie’s Register said, “This is an appeal to anybody (in particular to two passing adults who tried to prevent the incident) who witnessed three very young children, on bikes, who deliberately threw an alive cat into the water at the Sovereign Marina on Sunday night, at about 9 pm. “The Police have been informed, and I have a police log number, and hope to find out more information. The children are too young to be prosecuted, but their parents need to be found, as this could happen again. A spokesperson for Sussex Police said, “Police have been made aware of an incident at Sovereign Harbour, Eastbourne, in which a group of young boys were seen with a black cat which they then threw into the water, causing it to drown. 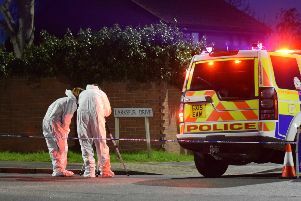 Anyone with further information about the incident or who might have been responsible is asked to contact Sussex Police online at https://sussex.police.uk/appealresponse or phone 101, quoting serial 1086 of 16/01.